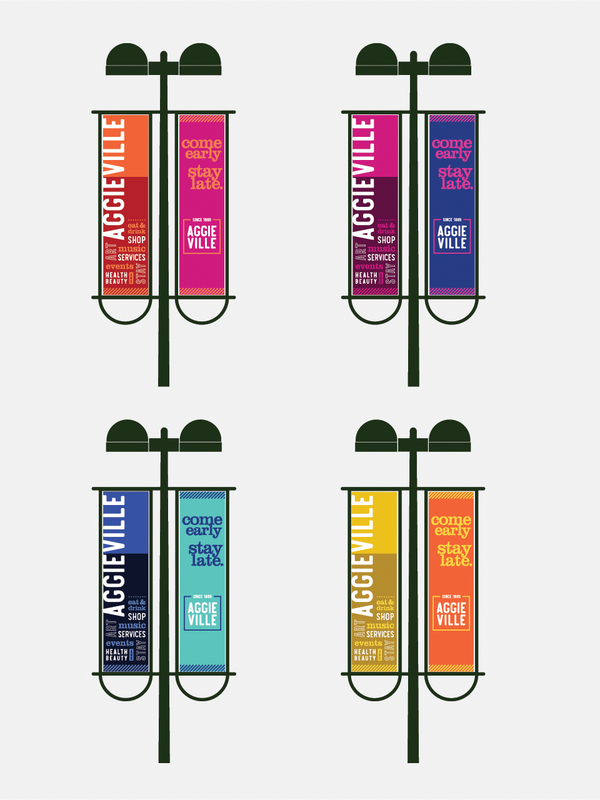 S&N Design created several coordinated banners for the Aggieville streetscape for the Aggieville Business Association. Each banner is a bright, bold color which includes their tagline—Come early, stay late. 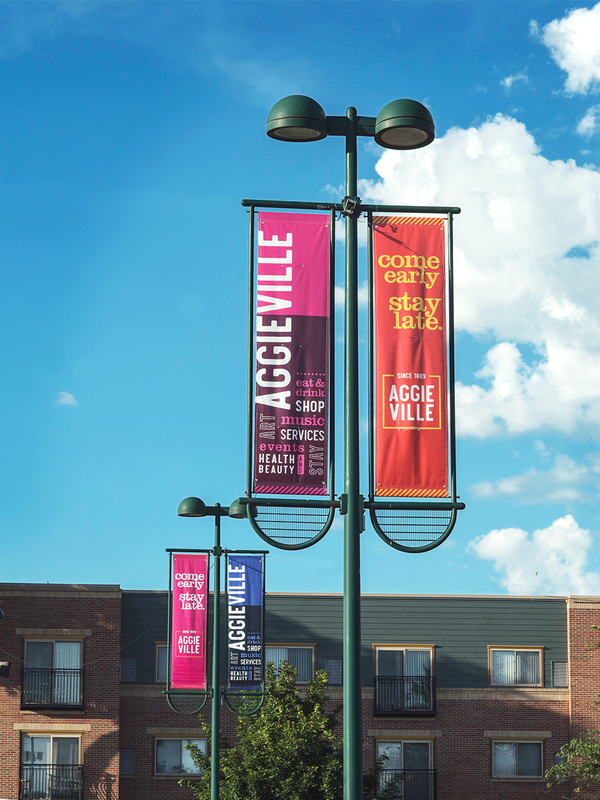 You can find these banners surrounding each street in Aggieville in Manhattan, KS.